1. What is mange in dogs? 2.2. But how do dogs get mange? 5. How to diagnose mange in dogs? 6. How to treat mange in dogs? 8. How to get rid of mange entirely? 8.4. How to get rid of mites on dogs and other animals? Mange is a skin disorder that caused by parasitic mites. Despite mites are available in most dogs and create no signs, some still develop and result in mange symptoms. Using home remedies for mange is a smart choice, as there are plenty of household items around you for dog mange treatment. Is your beloved puppy suffering mange? Do not worry; we will introduce everything about this condition to help you deal with the situation. What is mange in dogs? Another name of this disease is Acariasis, as the subclass Acari mites usually parasite and proliferate on animals. The classification of mange is based on the types of mites that cause the disease. There are two kinds of parasite infections in human and in furry animals: demodectic and sarcoptic mange, which caused by Demodex and Sarcoptes respectively . It is also called red mange, puppy mange, and follicular mange because this type of mange often happens in young dogs. Demodex mites take responsibility for this infection. These tiny creatures are about 0.25 millimeters in length. They often hide inside hair follicles (the pore where the hair shaft grows). However, many Demodex species are available in the human body as well as in animals without any irritation. Doctors can find them in dog’s skin, eyelids and nose creases. In case the immune system of your dog decrease (because of sickness or aging), Demodex will have a chance to attack its body. It is not the problem of poor hygiene or unclear kennels. 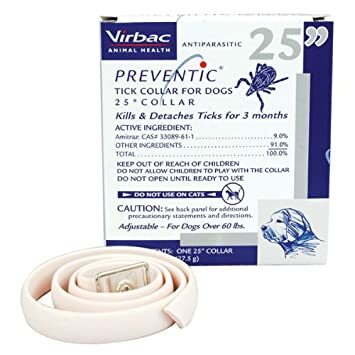 Thus everything depends on the ability of your dog to control the mites. But how do dogs get mange? The direct contact between mother and the puppies during the first week after giving birth is the perfect condition for bugs to transmit. The animal’s head is the most frequent area of receiving mange lesions, as it is most contact with its mother. A life circle of Demodex lasts for about one month or more. After the female lays eggs, the larva spends its entire lives with the dogs. Most healthy puppies are not affected by mites, except for non-immune ones that will develop mange symptoms. One important thing is that the mites can not survive if they are out of their hosts. It also means that there are no living Demodex in the dog kennels or bedding area. Thus you do not need to worry about the environment while treating the disease. A type of mite that called Sarcoptes scabies takes responsibility of Sarcoptes mange in dogs. Unlike Demodex mange, this disease is more severe as it usually creates skin disorders, such as hair loss or irritations. Not only dogs are affected, Sarcoptes mange in dogs even attack human skin if there is a chance of contact. Whatever host it is, this type of mites prefers a short-term of parasitic life before moving out to the environment. The life circle of Sarcoptes mange is shorter but more complicated than Demodex. The female ones burrow into the dogs’ skin and create tunnels, which can reach up to centimeters in length. She can lay eggs on her way while burrowing a new tunnel, then dies once she finishes her work. After that, each egg hatches into a 6-leg-larva within one week. The larvae then keep growing up and become mature when they have eight legs and molt. They mate inside the tunnels, and the female continues laying eggs to start new life circles. The adult mites can survive in the environment up to 22 days in fresh and moist condition, and one week in room temperature. That is why other dogs, or even human, can be infected without touching the host creatures. This type of mite causes different symptoms in both human and dogs. The signs of Demodectic mange may vary from mild to severe, depends on the size of the mange lesions. In localized cases, the mites affect no more than five parts of the body, in particular on the face and legs of your puppy. Meanwhile, there are over five lesions, or the entire body is covered with mange signs in generalized kind. The earliest and most common symptom is hair loss because mites tend to live inside the hair follicles. Starting at the muzzle, the bald area may expand to the eyes before covering the entire head. In localized cases, the lesions are in circle-shape and assemble at the top of the head, or at the forelegs of young dogs. When the puppies grow up and increase their immune systems, most lesions will heal themselves, except for some persistent areas. In generalized mange, the neck, abdomen, and legs are the next parts that will experience hair loss. Not every puppy feels itching at the damaged skin. After that, on the bald area, the skin will become rough, crusty and sometimes inflamed. That is when it oozes a clear fluid and leaves behind a greasy and moist material on your puppy’s skin. Fortunately, Demodectic mange is not contagious to human. These symptoms usually appear on the ears, elbows, and legs before expanding to the whole body. If you accidentally contact with the mites, it is easy to catch sarcoptic mange in humans. The lesions in our body are similar to mosquito bites, as they look like the rash . How to diagnose mange in dogs? The most accurate way to know whether your dog has mange is the available symptoms. However, the disease is confirmed by using biopsy, as the mites are invisible to the naked eyes. Doctors will use a microscope to find the appearance of mites on dogs’ skin scraping. Like we have mentioned above, the mites are present in all dogs. So the biopsy result itself has no meaning in mange diagnosis. You have to combine with suitable symptoms to conclude the status of your puppy. Besides, it is essential to screen for other problems that your dog may acquire, such as Cushing, cancer, and heartworm disease. The history of nutrient and drug treatment should be noticed to indicate a full treatment therapy. How to treat mange in dogs? To treat mange, both topical products and oral medications are needed. It is not compulsory to use drugs on localized mange as the lesions will heal themselves when the puppy grows up. But in generalized cases, doctors will indicate a long-term treatment and follow up, which may cost a huge budget to continue. For us, shampoo is a useful chemical mixture to clean our hair and make us smell good. We use shampoo for dogs with the same purpose, too. It helps remove the excess oil and gunk while bringing up a comfortable odor. In mites’ treatment, using mange shampoo is an obligatory step to prepare the skin for other targeted treatment. The problem of topical methods is that the mites on dogs always hide inside the tight pores and prevent the skin from absorbing medications. It will get worse days by days if you can not find a proper solution. Until now, Benzoyl peroxide is the best deep cleaning product for pets – according to vet recommendation. It is widely accepted with the name of mange shampoo . 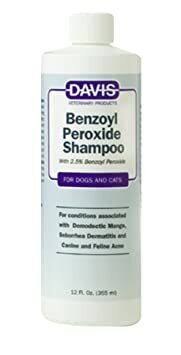 This type of shampoo is beneficial for Demodex mites on dog because it maintains an exposed environment. When the bugs die, they release toxins and turn themselves into gelatin-like matters, which are potential blockages of the pores. That is why you need to use mange shampoo for your pets for a long time even when the trace of mange has completely gone. But in Sarcoptic mange treatment, using shampoo is just the primary step before applying some unique products below. Clip the hair before applying for a better absorption. Bath your dog with mange shampoo before dipping. Wear rubber gloves whenever you use the dip on your dog’s skin. Just use an adequate amount each time. It is essential to dip your dog 6-14 times within two weeks, especially in generalized mange. After 3-4 times using, you need to perform a skin scraping to test the appearance of the mites. When there is no trace of any mites on dogs after two treatments, the process will continue for about one month. If there is no sign or symptom within one year, your dog is completely cured. Initially, this drug is prescribed for heartworm disease in pets. The active agents in Ivermectins are Milbemycin oxime, which is efficient for parasitic conditions in both cattle and domestic animals . However, it is a little bit risky for mange treatment as the harmful effect could be severe, including death. As long as you accept the dangerous properties, you should not choose this product before other methods. Besides, make sure to consult your vet when you decide to use Ivermectin. Dry skin is one of the biggest negative effects of mange shampoo, as it removes the natural oil of your dog. To prevent this, make sure to choose the right version of shampoo that is designed for pets only. The human products are too concentrated for animal’s skin and could bring more harm than good effects. With Amitraz, there are chances of sedation or nausea if the dog is too sensitive. The symptoms will increase within 24-36 hours after the first time using medication. In these cases, you should apply half of the dipping amount, or dilute it with 25% more water each time and pay attention to your dog’s response. Oral drugs like Ivermectin, as mentioned above, have a high risk of mortality and are not recommended. Besides the medications that could have terrible side effects, the natural mange cure will help ease the symptoms and stimulate lesions healing. This jelly-like plan contains a high source of antiparasitic and antibacterial agents. This compound is beneficial for soothing irritated skin and red mange. It also reduces inflammation thus accelerate wound healing. You can use both fresh Aloe leaves and bottled gel on your dog’s skin. How to get rid of mange symptoms by Aloe plant? You should not separate these two unique plants, although the combination may sound a little bit strange. Garlic itself has an excellent antiseptic and anti-inflammatory effects, while lemon peels are useful with skin problems with free radicals . This is a couple of powerful natural remedy for mange treatment, as it helps wipe out adult mites, larvae, and even the eggs. Meanwhile, the damaged skin will have the best condition to heal themselves. Not only mange, but people also use this natural liquid in several health issues because it has an amazing antiseptic property. The honey effect is similar to dogs with mange. Both oral and topical use is accepted. Applying honey on your puppy’s skin helps soothe the irritation, reduce itching and inflammation. Meanwhile, eating honey will boost the natural immune system and strengthen the ability to fight mites on dogs. For topical use, apply a small honey on the affected areas and leave for at least 15 minutes. Make sure your dog will not lick it off. For oral use, add a few tablespoon of honey into the meal once a day. You can feed your puppy until mange has gone away. With a lot of healthy bacteria, yogurt helps wipe out the discharge and red mange in the lesions. It also eases the itching and irritated skin, thus stimulate wound healing. This is one of the most efficient home remedies for mange in dogs. To use this treatment for scabies, apply an adequate amount of plain yogurt on the damaged skin. Then you can see the discharge reduces days by days. Repeat the process twice a day to get the best result. Catalytic oxidation. Natural silver contains oxygen molecules that can react with sulfhydryl groups in the membranes of bacteria. This molecular-level reaction blocks the cellular respiration in the living cell, thus kills germs and viruses. Binding with DNA. Although how silver attaches with DNA remains unclear, it still prevents DNA from unwinding and blocks cellular replication. Adding colloidal silver in your dog’s bath is a safer choice than putting in in the meal. 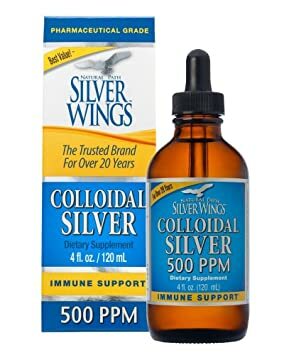 You can drop colloidal silver on the damaged skin – even the ears – two times per day to treat mange. Obviously, giving your dog a nice bath is everything you need to do in this condition. There is no place for mites in a bright and healthy hair. This hygiene routine helps reduce mange symptoms and bring back a smooth fur for your puppy. The combination of these two elements is one of the most efficient home remedies for mange in dogs. 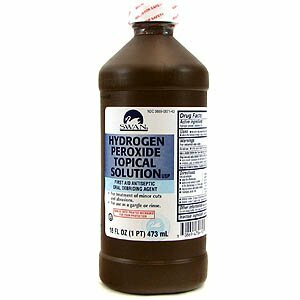 Hydrogen peroxide (H2O2) is a strong oxidizer that adds oxygen into the equation – a hard environment for mites to survive. 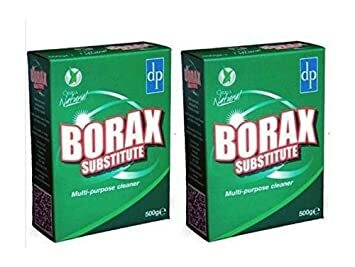 Borax is a home chemical that can debate insects and fungi. Therefore, the mixture of these two agents is very efficient to clean your dog’s fur and reduce mange symptoms. Add hydrogen peroxide and borax into the water and mix well. Apply the mixture to the affected area, make sure your dog will not lick its fur by wearing a muzzle. The liquid need 10 minutes to dry out, then let it sit on the hair for at least 30 minutes. Bath your dog, make sure you remove every remaining chemical left on the hair. People use this Indian plant to get over many skin diseases in both human and pets. It contains natural antiseptic elements that can reduce secondary infection of mange in dogs. Besides, Neem nourishes the skin from the inside and stimulates regrowth of fur from the hair follicles. Put a handful of Neem leaves in a boiling pan and leave for ten minutes so that they could release the active agents. Wait until the water cools down and strain. Then spray Neem water on your dog’s hair once a day. You do not need to rinse it out. Mix one tablespoon of Neem oil and one tablespoon of Coconut oil, then apply to the affected area up to three times per day. How to get rid of mange entirely? We have mentioned the most efficient home remedies for mange above, but you need to follow these instructions to cure scabies completely and prevent contagion. Once you have noticed mange symptoms on your dog, keep it away from other pets to prevent the mites from spreading. But remember to do this nicely and safely. Do not mistreat him by tying outside in cold weather. You can prepare a small room while following mange treatment for dogs. Spend time with your dog: pet him, give him toys and enough food so that your dog will not be afraid of the isolated environment. Wear gloves every time you contact with your dog to prevent the mites from transmitting to you. There are chances that the mites still hide inside your dog’s kennel and bedding area and waiting for another attack. To prevent this, wash the bedding items and other toys daily, or replace old ones if possible. Use sterilized liquid or soap to clean the environment around your dog. Due to many reasons, such as stress, medication, and isolation, your dog may become distressed and aggressive. If he is suffering one of these negative feelings, make sure that he feels loved every time with you. Removing psychological stress during mange treatment for dogs is not easy, but quite important to receive the best result. How to get rid of mites on dogs and other animals? If you notice any pets that usually communicate with your dog before he got mange, it is essential to give them treatment, too. They are at high risk of scabies infection. You can talk to your vet to find the most suitable therapy for these animals to prevent mange spreading to them and your dog. Vice versa, if you notice your healthy puppy contacts with any infected or suspected dog, keep him far away from those animals. Talk to the owner, and discuss whether your dog and his/her dog need to take medication. For a long term follow up, you should take your dog to the vet and perform a general examination at least once per month. The vet will take a skin scraping to make sure there are no mites present. Even if you want to treat your dog without going to the clinic, it is essential to consult your veterinarian first. Some chemical treatment is toxic if abused in a long time. Mange in dogs leaves behind uncomfortable sensations due to the skin lesions, but you can control the disease. You can try these home remedies for mange and notice the improvement of your puppy. Hope that this information is useful and fully provide what you are searching.